Some of the drawings paint a gloomy– albeit real– picture of the trade-offs within the pricey NYC rental market, featuring cockroaches, house centipedes and “maybe rats” for budgets under $1500. 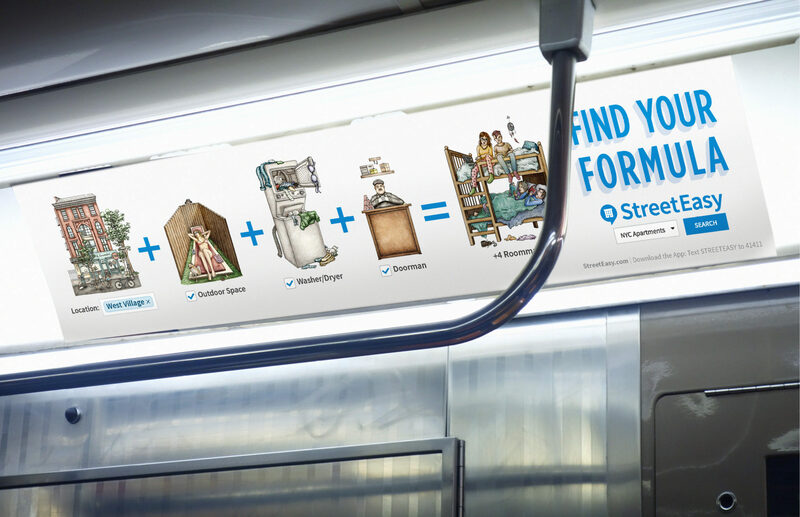 The ads, designed by Office of Baby, follow StreetEasy’s advertising debut in 2015. StreetEasy revenue grew 73 percent in 2015, according to Zillow Group’s fourth quarter earnings call in early February. Streets, sidewalks, subways, taxis and buses will play host to StreetEasy’s placements now through the spring apartment hunting season. Searching for an apartment in New York City is anything but easy or hilarious, but in an effort to lighten the mood while exposing its immense portal, StreetEasy created a comical advertising campaign with details almost every NYC renter can verify. “Find Your Formula” is a nod to the give-and-take struggle of hunting down a lease in NYC, summarized in 12 mathematically-focused illustrations. Some of the drawings paint a gloomy– albeit real– picture of the trade-offs within the pricey NYC rental market, featuring cockroaches, house centipedes and “maybe rats” for budgets under $1500 in the East Village. However, most of the ads are easier on the ego. Many of the illustrations showcase StreetEasy’s effectiveness at finding apartments that tailor toward wants while accommodating restrictions. One graphic portrays a formula featuring the West Village, an outdoor space and a washer/dryer, which equals a checked box of four roommates, suggesting certain luxuries are attainable, as long as you find three friends to level out the costs. “Recognizing these unique NYC trade-offs and that every buyer or renter is different is what this campaign is all about. It’s all a matter of finding what works for you, and StreetEasy’s breadth of listings, vast amenity search criteria, and unparalleled database of information will help you get there,” StreetEasy General Manager Susan Daimler said in a prepared statement. 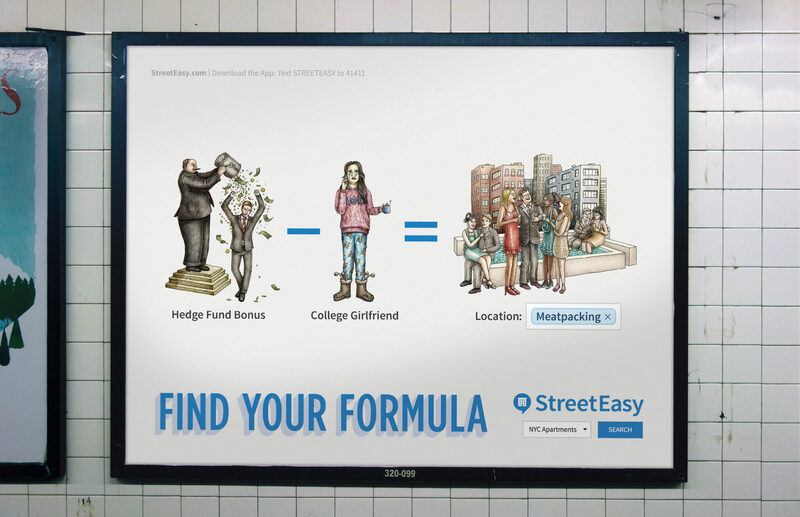 The ads, designed by Office of Baby, follow StreetEasy’s advertising debut in 2015. Its first-ever campaign, titled, “Live As You Please,” described the unique challenges and rewards behind being a renter in New York. Portraits with slogans like, “The city where a washer & dryer mean you’ve made it,” and, “Is it still a bedroom if the bed doesn’t fit?” were designed to appeal to the general public, many of whom maintain a love-hate relationship with the NYC rental market. Nevertheless, both campaigns intend to send a similar message: StreetEasy knows NYC apartments and can help locals struggling to find them, especially when it comes to weeding out the duds. StreetEasy revenue grew 73 percent in 2015, according to Zillow Group’s fourth quarter earnings call in early February. 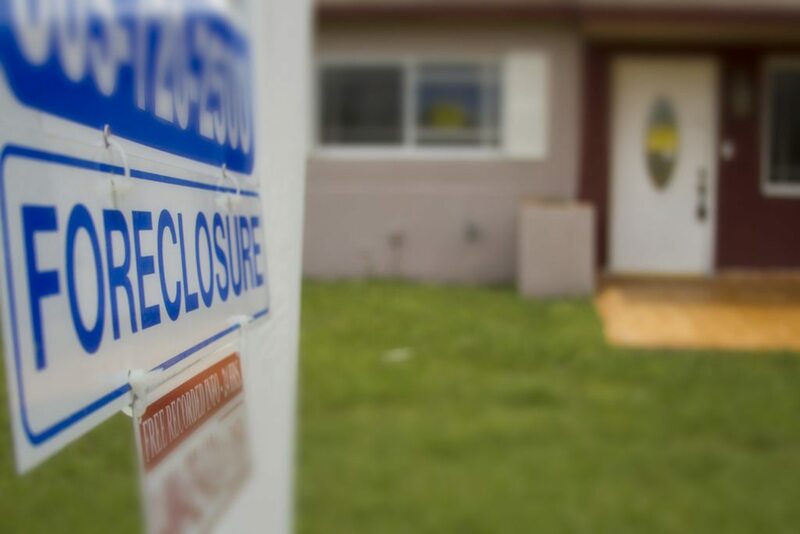 On Feb. 3, Zillow Group announced plans to acquire another New York-based rentals site, Naked Apartments, for $13 million. “Naked Apartments is a natural strategic fit with StreetEasy and Zillow Group in New York. We all share the common goal of using data, tools and technology to bring transparency and ease to New York City’s complex real estate landscape,” Daimler said in the announcement. 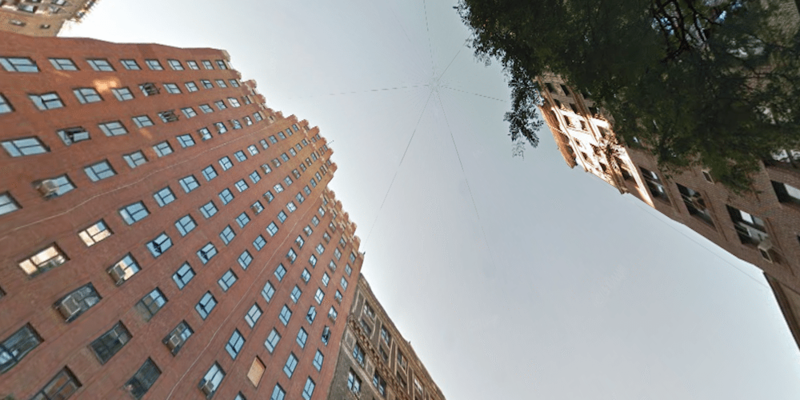 The new ads, like last years, will appear throughout the city where would-be renters are prone to catch a glimpse. Streets, sidewalks, subways, taxis and buses will play host to StreetEasy’s placements now through the spring apartment hunting season.